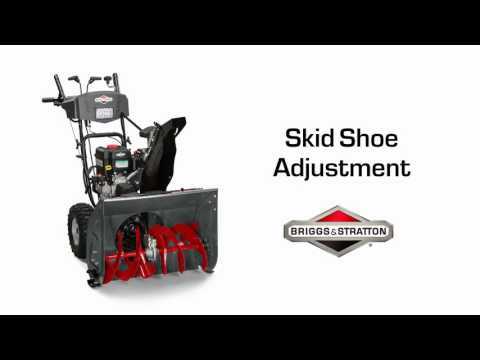 Equipped with a Briggs & Stratton 950 Snow Series™ Engine, the 24” Standard Series two-stage snowblower is perfect for moderate to heavy snow on medium driveways and pathways. Specially designed to start strong (down to -20°F**) and power through in the toughest winter conditions, this engine offers uncompromised power and displacement to help you get the job done. Plus, oversized controls provide mitten-friendly operation. Chute rotation control is located on the control panel and easily adjust the direction the snow is thrown from left-to-right. Push button electric starting makes for quick and easy starting down to -20°F***. An LED headlight is integrated into the controls and provides better visibility.